Here, wide-open spaces form the background for a veritable parade of wildlife—big game casually saunter past while you dine. 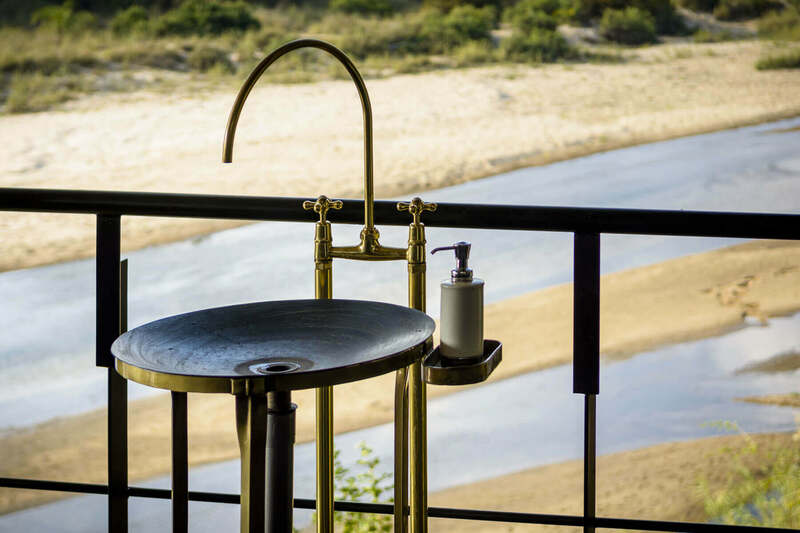 This is all to the credit of Singita Ebony (the original Singita Lodge) that functions under an ethos of conservation and sustainability, overseeing nearly one million acres of unspoiled wilderness. Unpack in atmospheric lodgings evocative of the romance and adventure of explorers that came before us: rich and familiar ebony and mahogany wood are in abundance, walls are plied with the artistry of local tribes—all whilst integrating a few beloved modern flourishes (think plunge-pools, all-glass walls)! 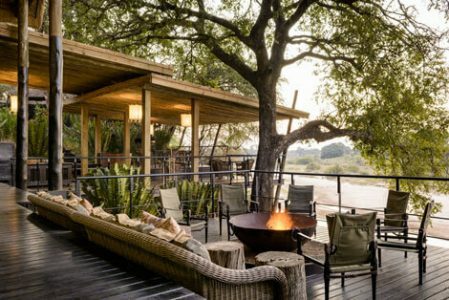 One would be forgiven for thinking Singita Ebony is the cat’s meow. Those who heed the call of the wild need not look further. Here, wilderness fans out in front of you, all from the comfort of your modernized tent. Conservationists will be pleased to know that every effort has been taken to keep this iconic piece of land as close to its untouched state as possible. Most Memorable Moment? Watching the elephants wander by from your room's private deck is an experience not easily forgotten. Thousands of people flock to the falls each year, but their namesake lodge is (almost) as majestic. Secluded, luxurious and tastefully appointed, it's the perfect base from which to explore. Singita Ebony is a private reserve that can be reached by air or road. All flights land at Singita’s airstrip located 10 minutes from the lodge. Please contact us to arrange scheduled flights or private charters for your trip. Flights from Johannesburg take about an hour. Flying from Nelspruit is closer to 30 minutes. Travelling by road from Johannesburg takes approximately 6.5 hours. Travelling from Hazyview is closer to an hour. Whether your inner adventurer is pining for the burly purr of a 4×4 in search of grand animals by a similar sound, or the up-close intimacy of a guided walk through the bush, there is truly nothing in your way (except for the various other activities—Spa time! Mountain biking!—you’ll want to set your sights on). 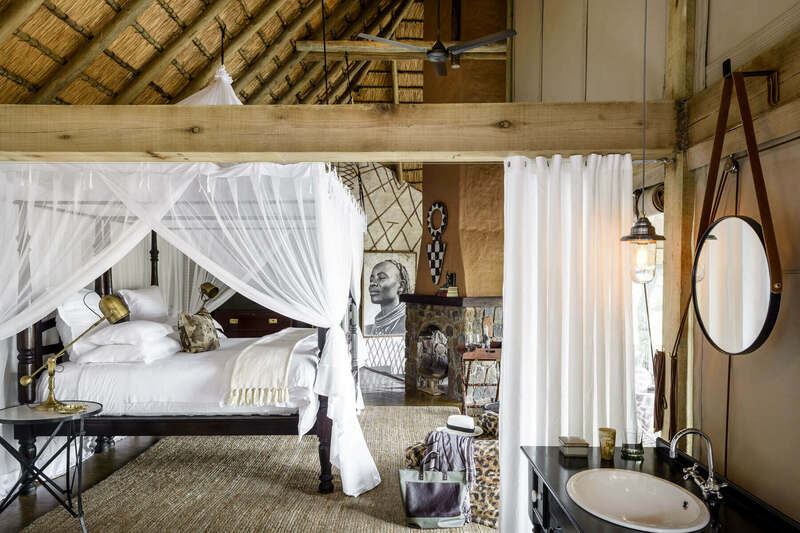 Singita Ebony offers 12 safari-style suites. A modernized interpretation of the classic safari lodge means walls have been replaced by canvas and glass to maximise views and allow for a flood of light. 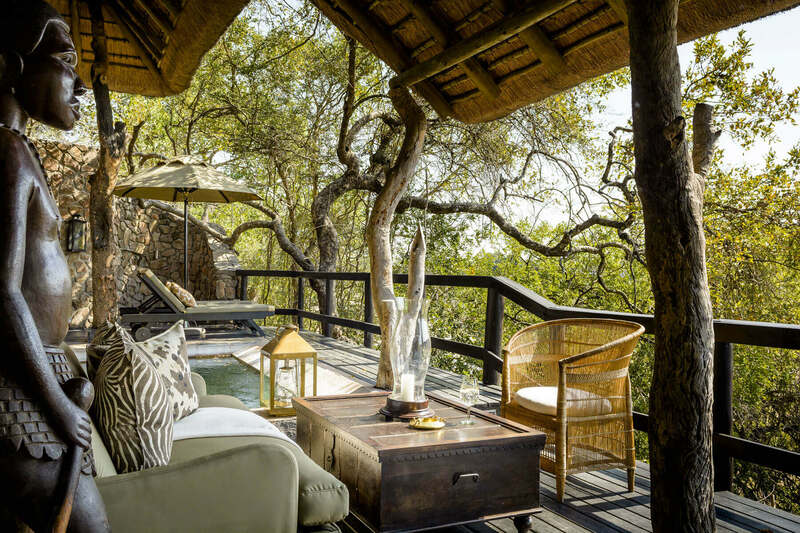 All suites feature their own private plunge pool as well as an outdoor pavilion deck which is perched gingerly in the trees, overlooking the river bank. Settle into one of eight large suites where rare antiques and artefacts pepper the room, providing context to the lodge’s heritage. These accommodations have a separate bedroom and function best for singles and couples travelling together. There are two Lewis Suites placed right next to each other and within proximity to the main lodge area. If you’re a family with teenage children, this would be your ideal setting. There are two family suites that include an en-suite master bedroom and an en-suite twin bedroom as well as a dining and lounge veranda with a stone fireplace. The villa option is a combination of the two family suites (mentioned above) which join through the meeting of an additional private lounge, swimming pool and deck area. Included in this option is a private guide and vehicle, chef, host and banakeli (personal waiter). A private entrance allows for complete seclusion if so desired. Family designations may break down as such: four adults and four children under 12 years of age, or up to six adults and teenagers. Looking to extend your adventure? 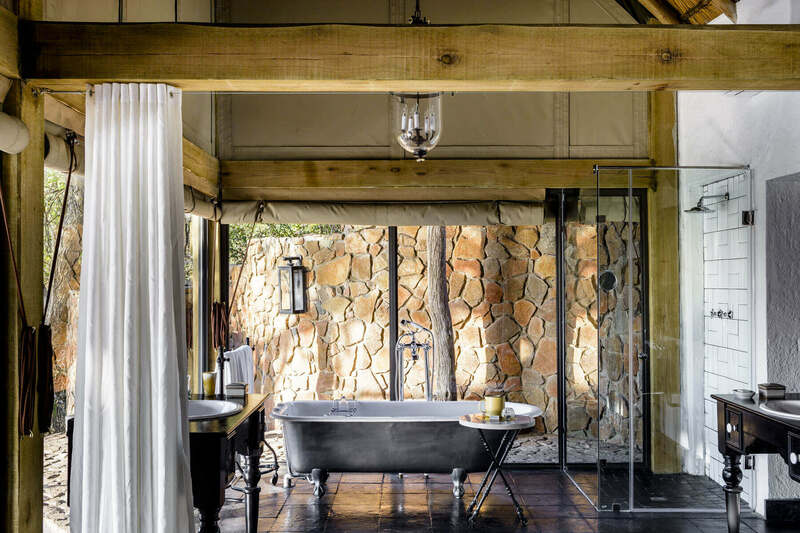 Discover a few ways to weave Singita Ebony Lodge into an even grander journey.